Hosta 'Night Before Christmas' has dark green leaves with a white center. The center starts off as cream in spring and turns bright white in summer. The leaves are slightly lance shaped. 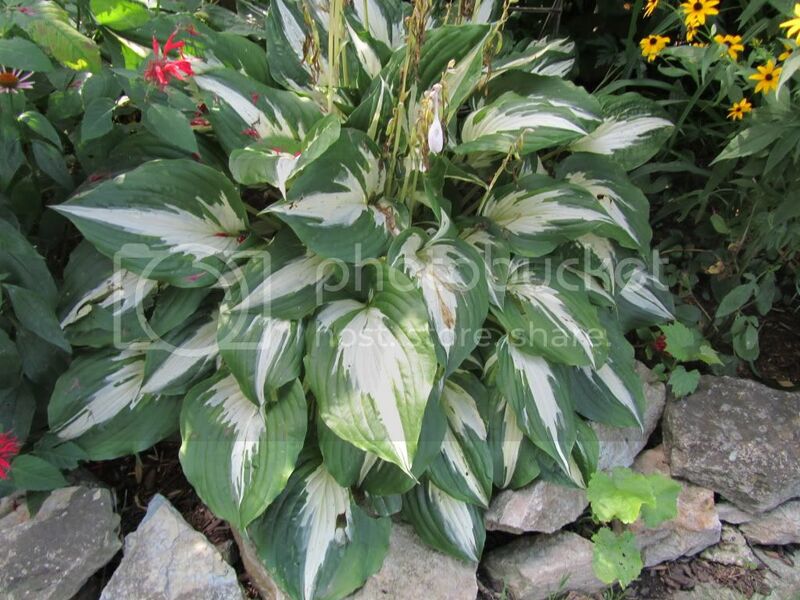 I am not one fore white variegated hostas, but this one is a beauty! Pair it with blue, gold, and light green hostas.